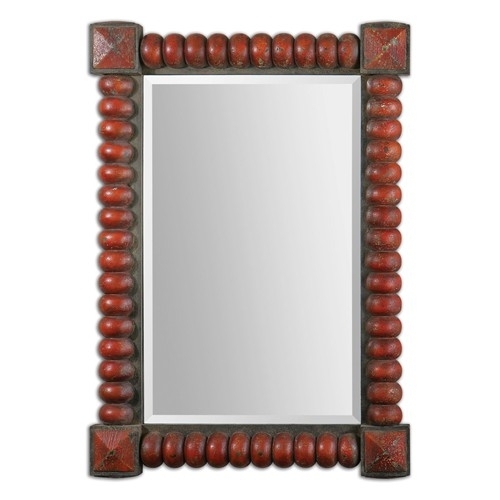 UBA Mirror with Heavy Primative Frame in Distressed Red Finish. FolkArt Inspired. Center mirro has a generous 1.25" bevel.